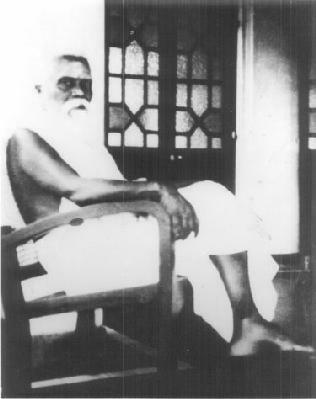 Editor's note: Among Yogaswami's admirers and devotees, Sam Wickramasinghe is exceptional, not only because he is Sinhalese by birth, but because he spent years among other devotees (in Kathirkamam) and in solitude (at Guru Madam, Kayts) endeavoring to penetrate into deeper and deeper levels of Yogaswami's multi-leveled deeds and utterances. Still lively and outspoken at 80, Sam is widely sought out by younger seekers for his colorful accounts of past experiences and exploits. 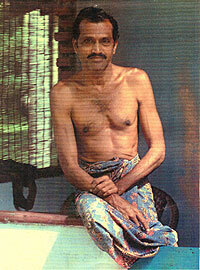 He is also an accomplished writer, many of whose articles, such as this one, have appeared over the years in the Sri Lankan English press. 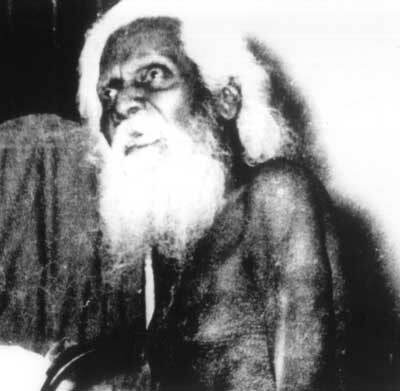 Susunga Weerapperuma in his little booklet, Homage to Yogaswami (Poets & Painters Press, London, 1970) records his mind-shattering meeting with Swami and pays a Great Tribute to this sage of the North. 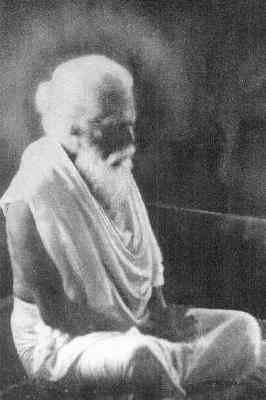 In it he tells the story of a man who walked into the hut, lit a joss stick, offered a few jasmine flowers and prostrated himself before Swami yelled, "Bloody fool, this is not an altar! Are you worshipping me or are you worshipping yourself?  Why worship another?"